Years later, I realized that the singer on the park bench was this guy. Needless to say, since I witnessed the performance, I had always been curious to explore the neighborhood. The last time I visited New York, I finally got my chance. Here are three stops I made. I think it is now safe to assume that I nourish a deep appreciation for ramen. 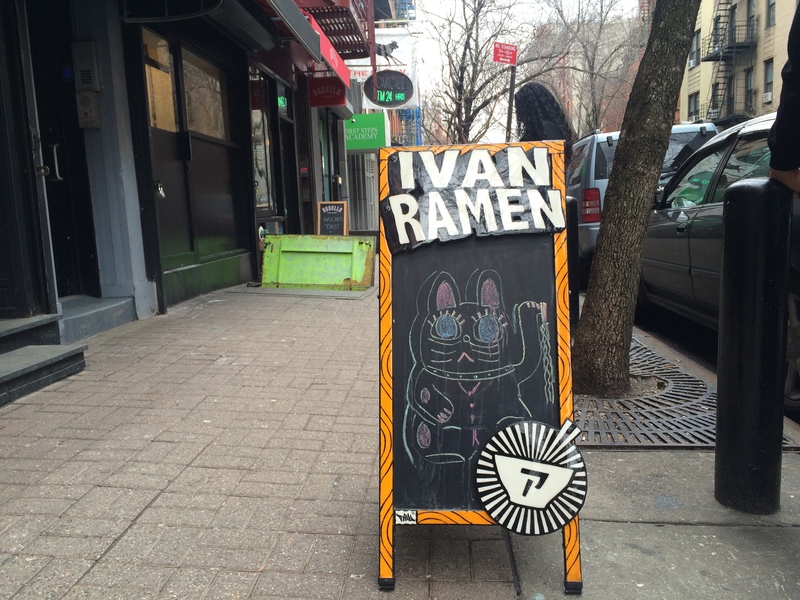 I’d read rave reviews for Ivan Ramen, and had been itching to go, so started my walk there. 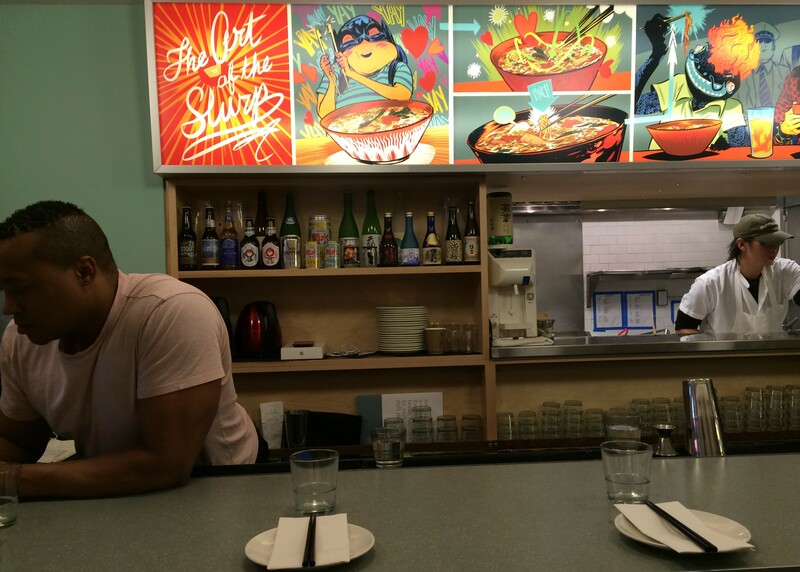 The ramen lived up to its hype. The broth was rich and savory, the enoki mushrooms chewy, and the noodles light – almost like angel hair pasta. I think The Ramen Shop’s meyer lemon ramen is still my favorite vegetarian ramen, but Ivan Ramen comes in as a close second. Plus, I loved their retro-feeling décor. Bonus points for playing Nirvana. 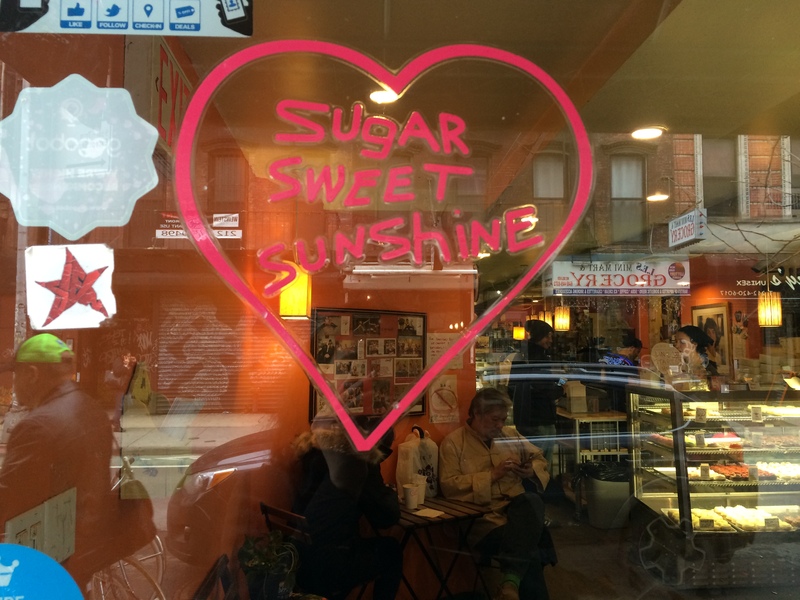 On the way to Ivan Ramen from the subway, I had noticed Sugar Sweet Sunshine, which has been on my mental to-do list for years. I stopped in for a post ramen cupcake. 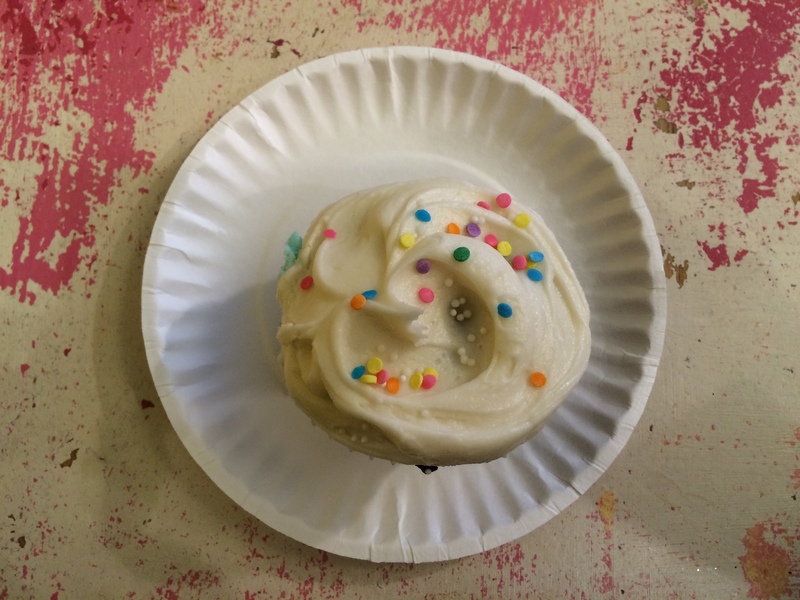 The black and white (“…just right”) may in fact be the most perfect cupcake I have ever tasted in my life. It was moist, with a deep chocolate-flavored cake and a-not-too sweet vanilla frosting in the perfect proportion. It fit in the palm of my hand, and the frosting was applied irreverantly, and dotted with adorable sprinkles. It fit my platonic ideal for a cupcake. In short, it was the stuff that dreams are made of. 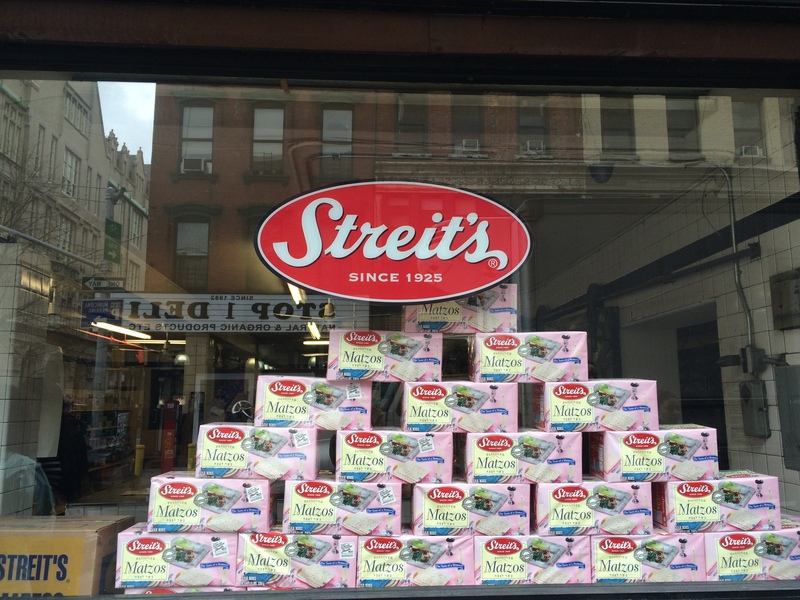 On the way back to the subway, I spotted the home of Streit’s–the only family-owned and operated matzah company in the U.S. Although I did not drop in, my curiosity was piqued for next time. I did, however, duck into Essex Street Market. 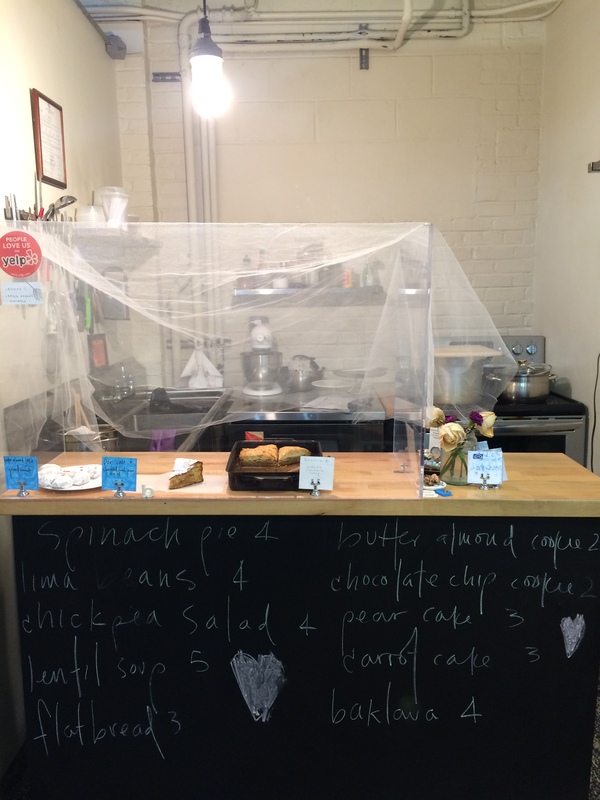 I was curious about Essex Street Market because I had read that they supported a number of women-run businesses, like La Tiendita – a “girl made and fair trade” business founded by The Lower East Side Girls Club. After purchasing a beautiful photograph of calla lilies from La Tiendita, I was fortunate enough to meet one of the women running a business at Essex Street Market herself– Roni-Sue of Roni-Sue’s Chocolates. Roni-Sue has been running her business for the past 8 years, but she started making chocolates 30 years ago, when she learned to make buttercrunch toffee – now her signature candy – at an adult ed class. 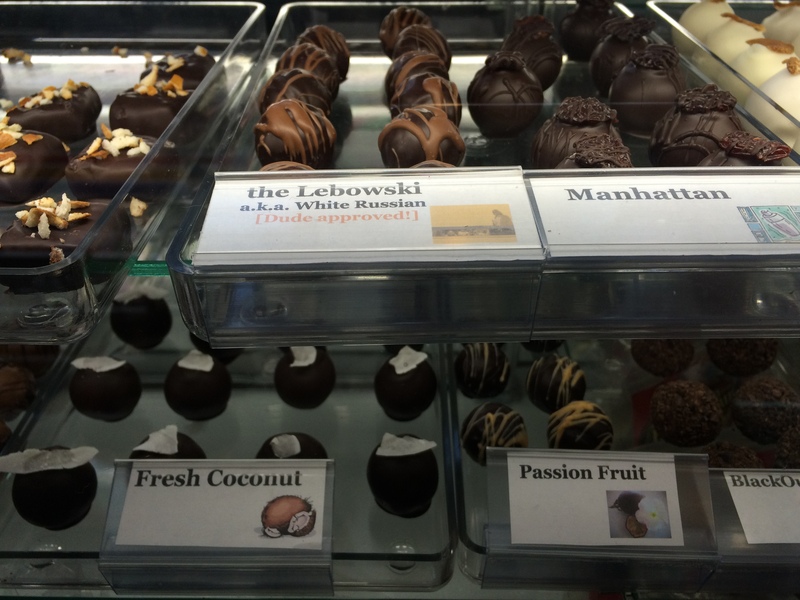 Originally making chocolates as gifts for family and friends each year during the holidays, Roni-Sue decided to turn her hobby into a business after going back to school and graduating from NYU in 2007– a year when she made and gave away roughly 400 lbs. of candy. 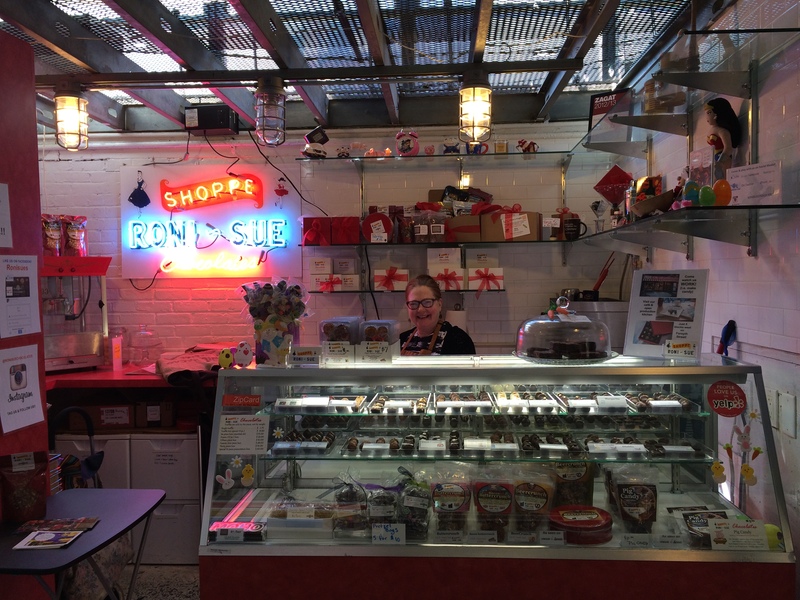 Since then, not only has her business soared, but it has also helped to launch two other businesses – Liddabit Sweets (co-owned by a former intern), and First Prize Pies – now Butter and Scotch – co-owned by Roni-Sue’s own daughter. Next, I spoke with Rona Economou, of Boubouki. Boubouki was born almost 5 years ago, when Rona (freshly laid off from her job and wondering what she would do next) wandered through the Essex Street Market, saw an empty stall, and thought “I could do something here.” Boubouki specializes in all-natural recipes–devised by Rona, but inspired by what she grew up eating in her Greek family. I can attest to the deliciousness of Boubouki’s offerings – I couldn’t help myself, and snatched up both a butter almond cookie and a baklava. 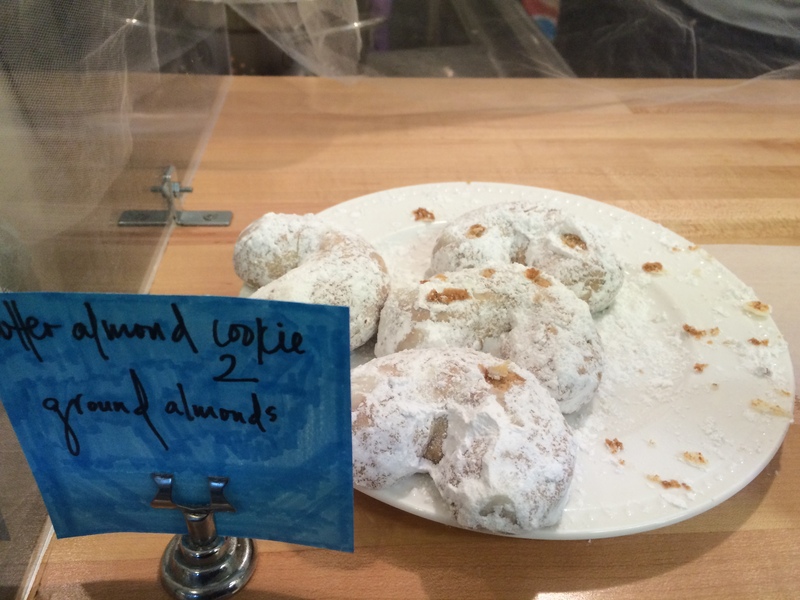 The butter cookie was crumbly and topped with powdered sugar; the baklava crispy, flaky, and drenched in honey. The Essex Street Market empties out into the Delancey Street subway stop, so I stumbled out into the sunshine briefly before hopping on a train. I hope to be back soon, though – there is still so much to explore. What about you? 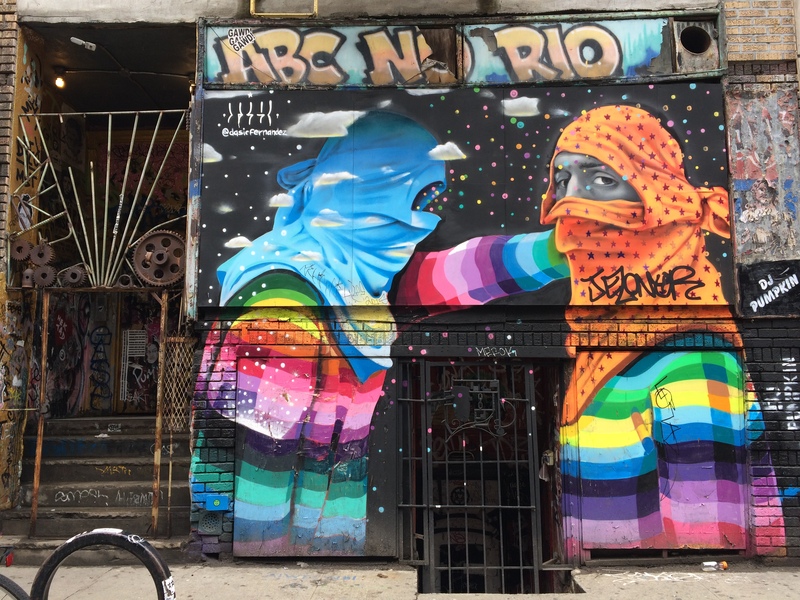 Where are your favorite haunts in the Lower East Side? For more updates on how to create a career, build a family, and construct a life full of purpose, love, joy, and adventure: Follow @shespoised on twitter, or like She’s Poised on Facebook (and select Get Notifications from the drop down menu).